Are you considering celebrating your wedding in Barcelona? Do you want to say ‘I do’ in a place full of history and surrounded by nature? If you do, then look no further… Torre Cellers Castle is where you should go! Located in Parets del Valles, very close to Barcelona, this impressive building, built above a Roman villa, is known as the best conserved castle in the whole of Catalonia. We know what it costs to choose the space where to celebrate a wedding, since the place must have all the facilities you need for such an important day. Therefore, now, we are going to explain each of the reasons for which getting married at Torres Cellers Castle is the best option for you! Lets begin. Torres Cellers is very close to Barcelona, a short 23 km away from there. 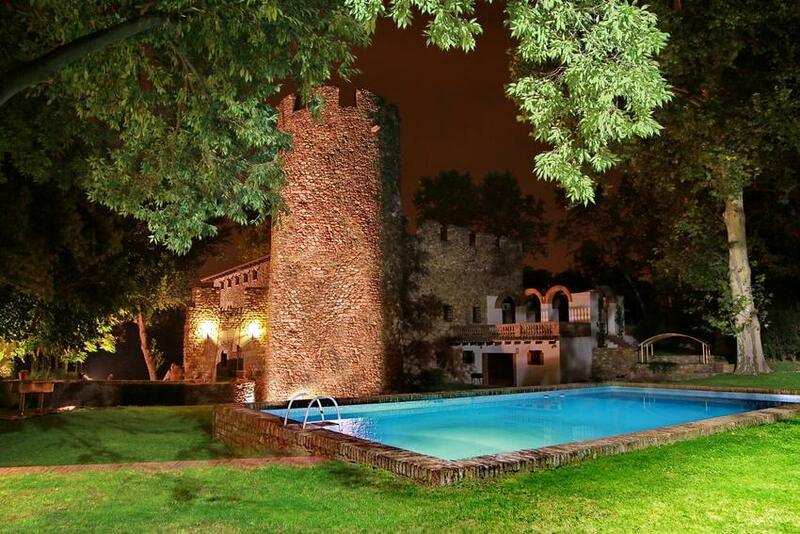 The castle was built above a Roman villa, Villa Abdela, and was restored in the 14th century. As a result, it is a historical building with lots of charm that becomes the perfect location for a marriage in the North of Spain. Themed weddings are very fashionable lately. Thus, in this castle you will have no problem celebrating any event just as you had imagined it, and you can choose the style that suits you. This marvellous place and the unforgettable wooded grounds, provide a special and romantic touch to any wedding there. The castle has various spaces, as many outside as inside, that can be adapted for civil ceremonies, dinners, dances or cocktail parties. Each space can be hired exclusively for you and so none of events will coincide with one another. If you want to have a civil wedding, you can do it outside, in an area surrounded by nature and with some stunning views. Also, tying the knot can take place inside the country house, in a room that can take a maximum capacity of 150 people. 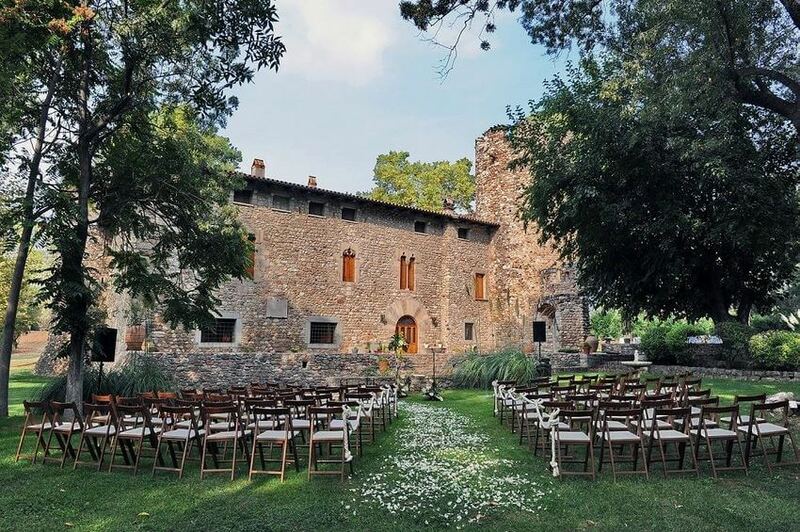 At Torre Cellers, you will always have a professional team at your disposal that will help you with everything that you need to organise the big day. From the decoration, to the catering or the choice of where to celebrate the wedding, they will be on call for you. The castle not only has various rooms which are completely equipped for an event of this size, it also has an expansive wood and garden. 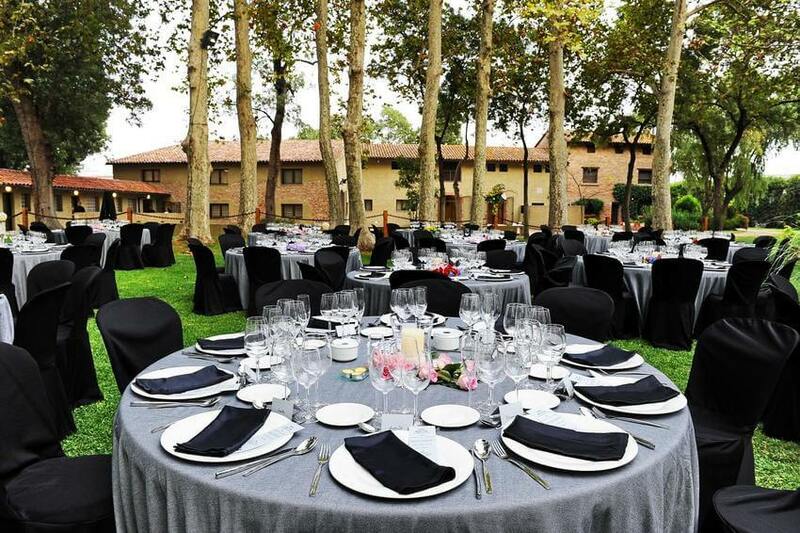 You can choose in which of these areas you want to celebrate the banquet or drinks party. Furthermore, you can make the most of the great gardens by creating a chill-out area, where you can enjoy the beauty and tranquility of your surroundings. 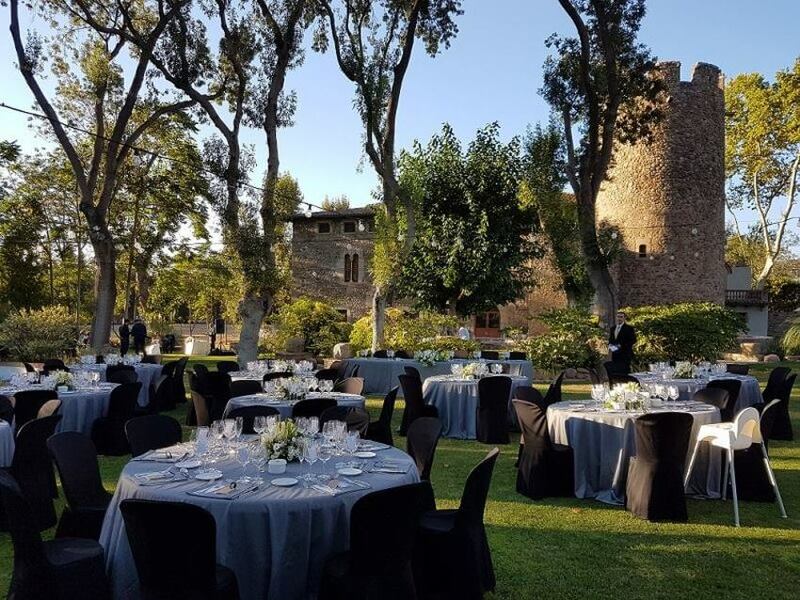 Torre Cellers has its own chef and catering service that offers a large variety of high quality mediterranean food which can be completely adapted to the bridegroom’s wishes. They try to capture the ideas and hopes of the future marriage and turn them into unique sensations, without leaving out any important details and by personalizing the different menu proposals to suit what the couple want. The menu price includes the decoration of the space, a tasting of the menu for the couple and 4 friends prior to the event, and a standard photo report. Additionally, Torre Cellers also provides further services like an open bar or DJ.